The power of touch technology. 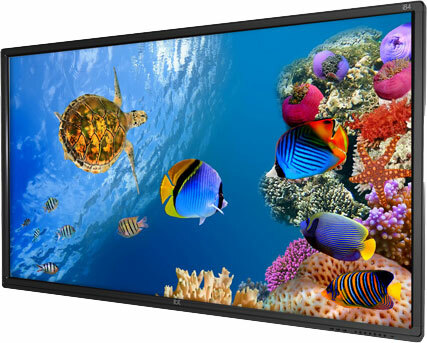 Portsmouth Communications is proud to be working with iBoardTouch to provide their industry leading interactive touchscreen and whiteboard technology. Through their advanced hardware and software, you have everything needed to interact, innovate and collaborate. Powered by Android, all you need to do is plug-in your device to pair the screens and use familiar features, or add an integrated Windows PC for an all-in-one seamless solution. Access the content you need with both Android and Windows compatibility available. Download and use your favourite applications and programs through a recognisable user interface. No need to darken the room, the exceptional clarity and clear display means you can see what you need to whenever you need to. 4K UHD and 1080p screens recommended. Integrate Windows with your iBoardTouch to access all the features you would if you were using a PC, making this the complete working tool for any professional. Why not speak to our Audio Visual team and they will help you select the iBoardTouch product best suited to your needs. Prefer to talk to someone? Give our expert sales team a call and they will be happy to answer any and all of your Interactive Touchscreen and Whiteboard related questions.